Climbing RoseDeciduous climbing rose. 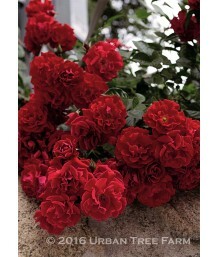 Large clusters of ruffled red blossoms make a great display ag.. Climbing RoseDeciduous climbing rose. 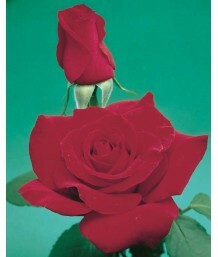 Very long-lasting large saucer-like single flowers of Chinese .. Climbing RoseDeciduous climbing rose. Trained to grow on a trellis. 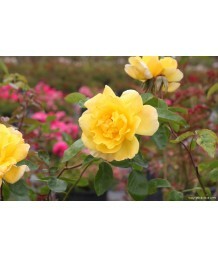 Very long-lasting large saucer-l..
Shrub or Bush RoseDeciduous shrub. Can be pruned as a small tree rose. Usually kept as a 3 foot shru.. Climbing RoseDeciduous climbing rose. Truly stunning lavender colored rose that is sure to make itse..
Shrub or Bush RoseDeciduous shrub. Can be pruned into a small tree rose. Usually kept as a 3 foot bu..
Tree RoseDeciduous shrub pruned into a small tree rose. Large grandiflora flowers appear in late spr.. Climbing RoseDeciduous climbing rose. 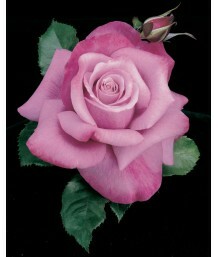 Rich fragrance, great hardiness and super disease resistant (e..
Groundcover/Prostrate/Carpet RoseDeciduous groundcover. Spreading, dark green foliage with finely to..
Shrub or Bush RoseDeciduous shrub. Can be pruned as a single trunk tree rose. 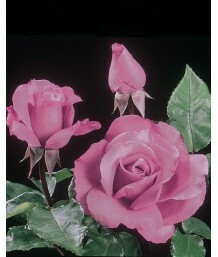 Usually kept as a 3 fo..
Tree RoseDeciduous shrub pruned as a single trunk tree rose. Just one big shapely blossom can nearly.. Climbing RoseDeciduous climbing rose. Large clusters of flowers of irregularly striped deep pink and..
Tree RoseDeciduous shrub pruned into a single trunk tree rose. Naturally rounded plant carries all i.. Climbing RoseDeciduous climbing rose. 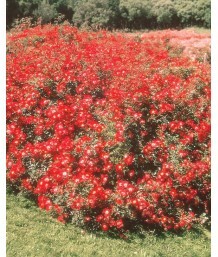 Not only has reliable garden performance, it is spectacular in..
Shrub or Bush RoseDeciduous shrub. Can be pruned into a small tree rose. Usually kept as a 3-foot bu..
Shrub or Bush RoseDeciduous shrub. 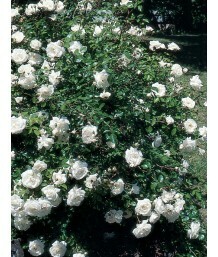 Performs just like its famous white Iceberg parent - same terrifi..
Shrub or Bush RoseDeciduous shrub. 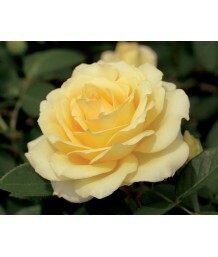 A low care rose for the landscape. 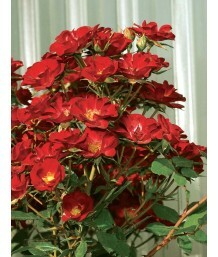 Vigorous, easy to grow, bushy ..
Shrub or Bush RoseDeciduous shrub. 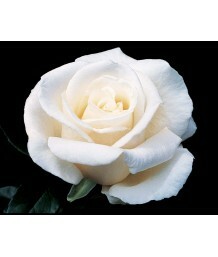 Can be trained as a small tree rose. Usually kept as a 3 foot bus..
Tree RoseDeciduous shrub pruned as a small tree rose. 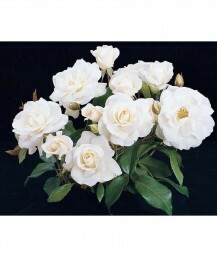 Very lovely large classically-formed flowers p..
Shrub or Bush RoseDeciduous shrub. Can be pruned as a small tree rose. 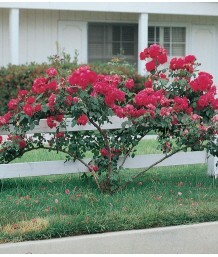 Usually kept as a 3 foot bush..
Bush or Shrub RoseDeciduous shrub. Can be pruned as a small rose tree. 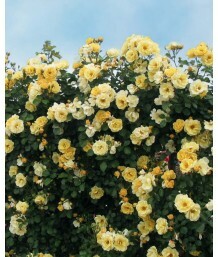 Usually kept as a 3 foot bush..
Tree RoseDeciduous shrub pruned as a small rose tree. Great landscape value, free flowering habit, s..
Shrub or Bush RoseDeciduous shrub. bears very large, globular, clear pink flowers, reminiscent of pe..
Tree RoseDeciduous shrub pruned as a small tree rose. Performs just like its famous white Iceberg pa.. Climbing RoseDeciduous climbing rose. 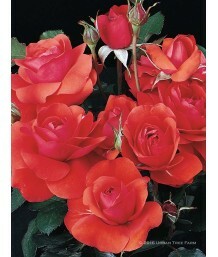 Sizable hybrid tea shaped blossoms carried in huge clusters on..
Shrub or Bush RoseDeciduous shrub. Carefree because of its superb disease resistance and natural har..
Sweetheart RoseDeciduous shrub. Very fast growing and vigorous. Needs support. 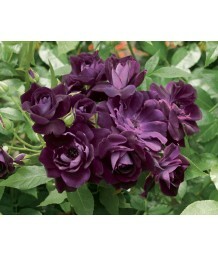 Medium-sized dark gre..
Sweetheart Climbing RoseDeciduous climbing rose. Very fast growing and vigorous. Needs support. Medi..
Tree RoseDeciduous shrub pruned into a small tree rose. Excellent disease resistance. Deep-green, to..
Shrub or Bush RoseDeciduous shrub. Can be pruned as a small tree rose. Usually kept as 3 foot bush. ..
Shrub or Bush RoseDeciduous shrub. Moderate growth rate. Upright rounded form. 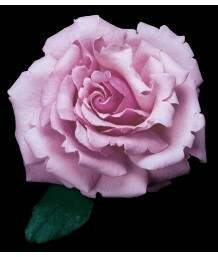 Medium-sized dark gre..
Tree RoseDeciduous shrub pruned into a small tree rose. Moderate growth rate. Upright rounded form. ..
Shrub or Bush RoseDeciduous shrub. 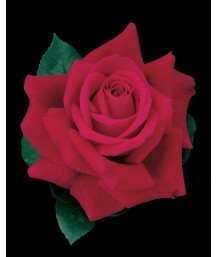 Can be trained as a small tree rose. 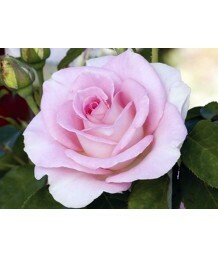 Usually kept as a 3-foot shr..
Tree RoseDeciduous shrub pruned into a small tree rose. 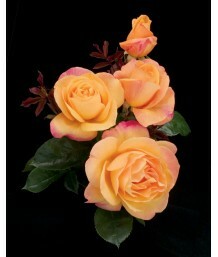 Floribunda with spiraled and double formed f..
Shrub or Bush RoseDeciduous shrub. 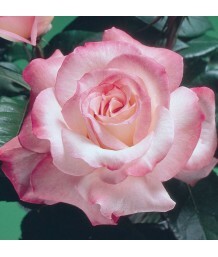 The subtle salmon color changes can make the same large shapely f..
Tree RoseDeciduous shrub pruned into a small tree rose. Big pointed buds swirl open to show off shad..
Grandiflora RoseDeciduous shrub. Can be pruned as a small tree rose. Usually kept as a 3 foot bush. .. Climbing RoseDeciduous climbing rose. Fast growing. Need support. Medium-sized dark green oval leave.. Climbing RoseDeciduous climbing rose. Already trained to grow on a trellis. Fast growing. Need suppo..
Tree RoseDeciduous shrub pruned as a small tree rose. 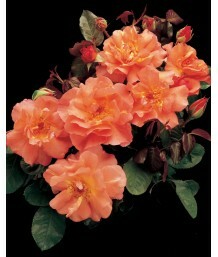 Floribunda with old-fashioned and ruffled flow..
Shrub or Bush RoseDeciduous shrub. Moderate growth rate. Rounded form. 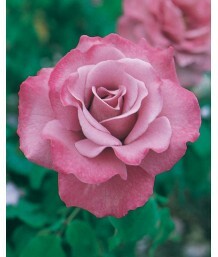 Medium-sized dark green oval ..
Tree RoseDeciduous shrub pruned as a small tree rose. Moderate growth rate. Medium-sized dark green ..
Groundcover RoseDeciduous shrub or groundcover. Low spreading habit. 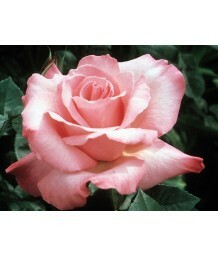 Bright peachy-pink blooms appea..
Groundcover RoseDeciduous groundcover rose. Low spreading habit. 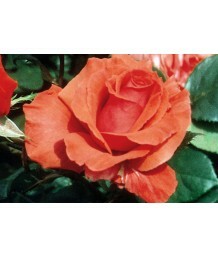 Bright coral-orange blooms appear i..
Groundcover RoseDeciduous groundcover rose. Disease resistant. Glossy green leaves grow low and wide..
Shrub or Bush RoseDeciduous shrub. Can be pruned as a single trunk tree rose. 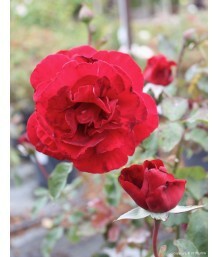 Very large velvety red..
Tree RoseDeciduous shrub pruned as a small tree rose. 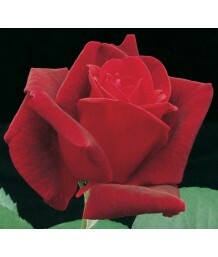 Very large velvety red floribunda flowers bloo..
Tree RoseDeciduous shrub pruned as a small tree rose. 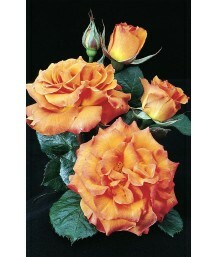 Floribunda with sometimes scalloped, ruffled, ..
Tree RoseDeciduous shrub pruned into a small tree rose. 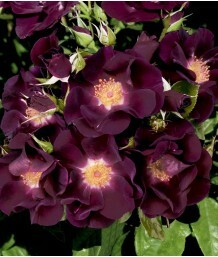 Dusky deep purple buds swirl open to very do..
Tree RoseDeciduous shrub pruned as a small tree rose. Big classically-formed fragrant flowers of war..
Tree RoseDeciduous shrub pruned as a small tree rose. A big super fragrant long-stemmed rich-red Hyb..
Groundcover/Prostrate/Carpet RoseDeciduous groundcover rose. Each bush is covered in an explosion of..
Groundcover/Prostrate/Carpet RoseDeciduous groundcover rose. 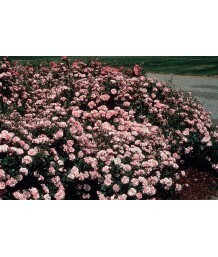 Masses of pastel pink blooms cover the ..
Groundcover/Prostrate/Carpet RoseDeciduous groundcover rose. Masses of coral-colored blooms. 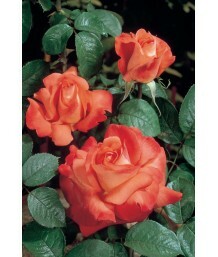 Rich gl..
Groundcover/Prostrate/Carpet RoseDeciduous groundcover rose. 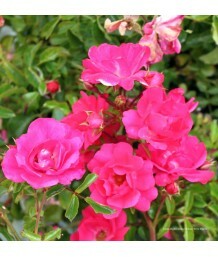 Masses of lipstick pink colored blooms ..
Groundcover/Prostrate/Carpet RoseDeciduous groundcover rose. Masses of iridescent pink blooms. 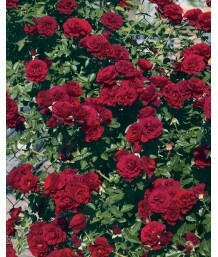 Rich ..
Groundcover/Prostrate/Carpet RoseDeciduous groundcover rose. 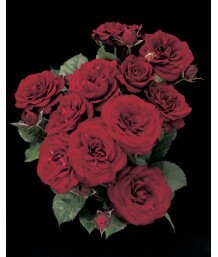 Masses of velvety, deep red blooms. 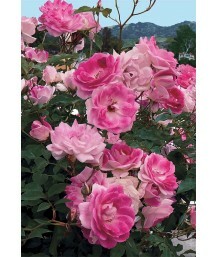 Dee..
Groundcover/Prostrate/Carpet RoseDeciduous groundcover rose. Masses of scarlet red blooms. 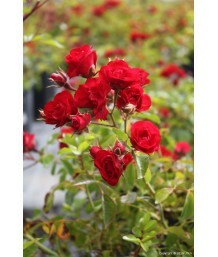 Glossy sh..
Groundcover/Prostrate/Carpet RoseDeciduous groundcover rose. 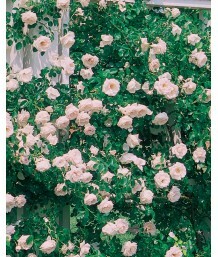 Masses of white blooms that retain thei..
Groundcover/Prostrate/Carpet RoseDeciduous groundcover rose. Masses of buttercup-yellow blooms. Glos.. Climbing RoseDeciduous climbing rose. The large clusters of single blossoms carry all different colo.. Climbing RosaDeciduous climbing rose. Large clusters of flowers of irregularly striped red and white..
Shrub or Bush RoseDeciduous shrub. Fast growing. Upright broad oval form. Medium-sized dark green ov..
Shrub or Bush RoseDeciduous shrub. Can be pruned into a small tree rose. 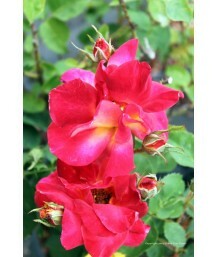 Usually kept as a 3 foot sh..
Tree RoseDeciduous shrub pruned into a small tree rose. 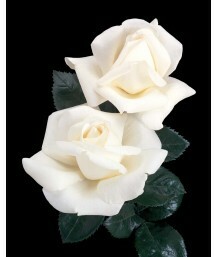 Very fragrant white rose. Great glossy folia.. Climbing RoseDeciduous climbing rose. Fast growing. Needs support. Medium-sized medium-green oval le..
Tree RoseDeciduous shrub pruned as a small tree rose. Rounded, upright bushy habit. Rich-green, toot..
Shrub or Bush RoseDeciduous shrub. A Profusion of small fat buds and fragrant crisp white blooms pop..
Shrub or Bush RoseDeciduous shrub. Can be pruned into a small tree rose. Usually grown as a 3 foot b..
Shrub or Bush RoseDeciduous shrub. 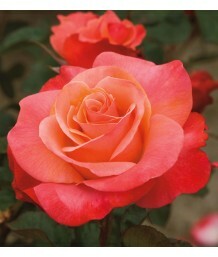 Bright orange, pink, and yellow flowers cover this mounding, spre..
Tree RoseDeciduous shrub pruned into a small tree rose. 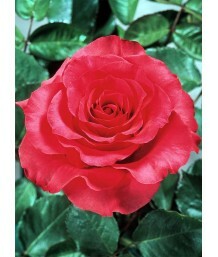 Grandiflora type, great for cut flowers. Fra..
Shrub or Bush RoseDeciduous shrub. Moderate growth rate. Upright rounded form. Medium-sized grayish-..
Tree RoseDeciduous shrub pruned as a small tree rose. Moderate growth rate. Medium-sized grayish-gre..
Tree RoseDeciduous shrub. Can be pruned into a small tree rose. Usually kept at a 3-foot shrub. Deep..
Shrub or Bush RoseDeciduous shrub. Can be pruned into a small tree rose. 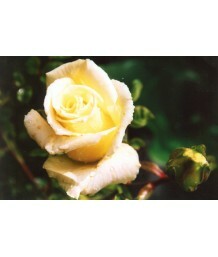 Usually kept at a 3 foot sh..
Tree RoseDeciduous shrub pruned as a small tree rose. 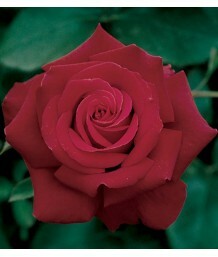 There's no other rose quite like this. Pointed.. Climbing RoseDeciduous climbing rose. Fast growing. Needs support. Medium-sized dark green oval leav.. Climbing RoseDeciduous climbing rose. Already trained to grow on a trellis. Fast growing. Needs supp..
Bush or Shrub RoseDeciduous shrub. Dense and compact growth habit. 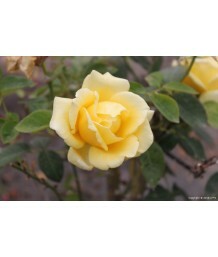 This florabunda type rose has man..
Tree RoseDeciduous shrub pruned as a small tree rose. Usually kept as a 3 foot bush. Big round petal.. Climbing RoseDeciduous climbing rose. Vigorous growth. Fully double, bright pink flowers appear in e.. Climbing RoseDeciduous climbing rose. Very popular. Bounteous clusters with double flowers of ever-c.. Climbing RoseDeciduous climbing rose. Trained to grow on a trellis. Very popular. Bounteous clusters..
Tree RoseDeciduous shrub pruned as a small tree rose. Usually kept as a 3 foot bush. Even butter gol..
Tree RoseDeciduous shrub pruned as a small tree rose. Big brandy colored buds with large ruffled apr..
Shrub or Bush RoseDeciduous shrub. Dense rounded habit. Cherry red flowers bloom spring through fall..
Shrub or Bush RoseDeciduous shrub. Can be pruned into a small rose tree. 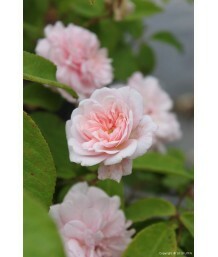 Usually kept at a 3 foot sh..
Tree RoseDeciduous shrub pruned as a small tree rose. Hybrid tea with huge, full, ruffled flowers. B..
Tree RoseDeciduous shrub pruned into a small tree rose. Deep green glossy foliage. 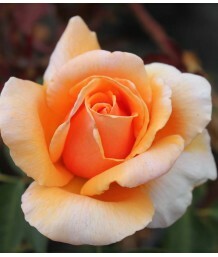 Apricot orange bl..
Shrub or Bush RoseDeciduous groundcover rose. White or white blend. 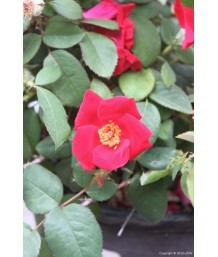 Mild to strong, sweet fragrance..
Shrub or Bush RoseDeciduous groundcover rose. 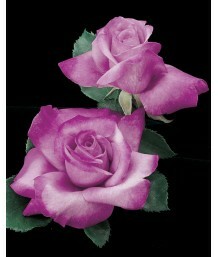 Semi-double deep magenta blooms with a spicy fragrance..
Shrub or Bush RoseDeciduous shrub. This small bushy shrub is a hybrid of 'Ballerina' and 'Baby Faura..
Shrub or Bush RoseDeciduous shrub. Single coral-pink blooms on bushy, compact plants. Semi-glossy, d..
Shrub or Bush RoseDeciduous shrub. Long blooming and virtually trouble-free. Low, spreading habit an..
Shrub or Bush RoseDeciduous shrub. 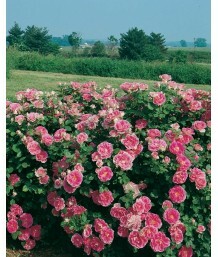 From late spring to frost, this shrub rose has clusters of long-l..
Shrub or Bush RoseDeciduous shrub. 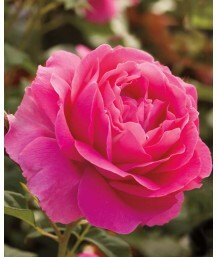 Hardy shrub rose with fragrant; fully double magenta-pink blooms ..
Shrub or Bush RoseDeciduous shrub. Moderate growth rate. Mounded spreading form. Medium-sized medium..
Shrub or Bush RoseDeciduous shrub. Low-growing shrub rose with a creeping habit that is often grown ..
Tree RoseDeciduous shrub pruned into a small tree rose. Perfectly pure clean and clear yellow. Lots ..
Tree RoseDeciduous shrub pruned into a small tree rose. Huge old fashioned flowers can fill an entir..
Tree RoseDeciduous shrub pruned into a small tree rose. Very bright yellow color. 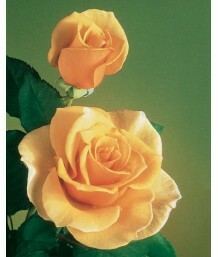 Large flowers are ..
Tree RoseDeciduous shrub pruned as a small tree rose. Performs consistently fine in all climates. 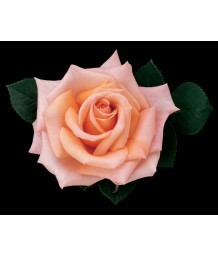 Br..
Tree RoseDeciduous shrub pruned as a small tree rose. 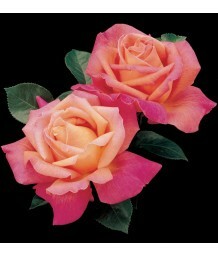 Grandiflora with double, high centered flowers..
Tree RoseDeciduous shrub pruned as a small tree rose. Fast growing. Medium-sized dark green oval lea..
Tree RoseDeciduous shrub pruned into a small tree rose. Vigorous, upright habit. Good disease resist..
Tree RoseDeciduous shrub pruned into a small tree rose. 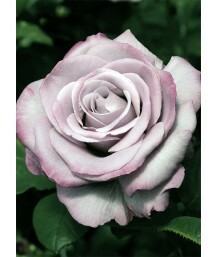 Big blossoms of luscious lavender tinged wit.. Climbing RoseDeciduous climbing rose. Hardy and vigorous. Large fragrant pale pink flowers. Glossy d.. Climbing RoseDeciduous climbing rose. Unusual gray-green leaves. 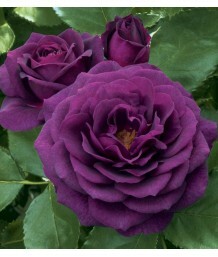 Ruffled semi-double velvety purple ..
Shrub or Bush RoseDeciduous shrub. Light pink, ever-blooming, masses of flowers. Bright green diseas..
Tree RoseDeciduous shrub pruned as a small tree rose. 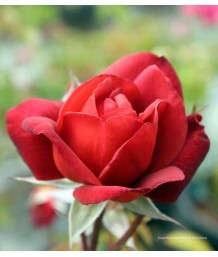 The bright true-red color shows through from t..
Tree RoseDeciduous shrub pruned as a small tree rose. 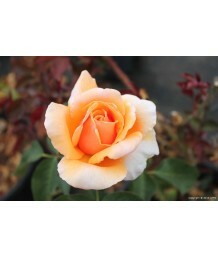 Big voluptuous deep apricot buds spiral open t..
Tree RoseDeciduous shrub pruned into a small tree rose. Upright, bushy habit. Good disease resistanc..
Tree RoseDeciduous shrub pruned as a small tree rose. 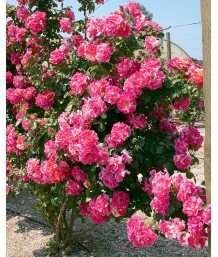 Huge opulent blossoms, delicious blend of colo..
Tree RoseDeciduous shrub pruned as a small tree rose. Moderate growth rate. Upright rounded form. 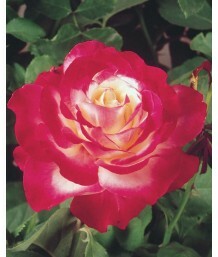 Me..
Rambler RoseDeciduous shrub. Sprays of scented yellow and pink flowers appear in summer through fall..
Tree RoseDeciduous shrub pruned as a small tree rose. 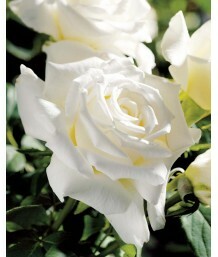 Full clusters of small fragrant bright white b..
Tree RoseDeciduous shrub pruned as a small tree rose. 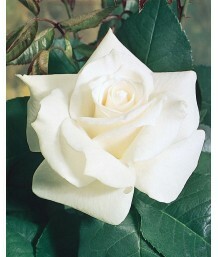 One of the most fragrant white roses with a st..
Tree RoseDeciduous shrub pruned as a small tree rose. 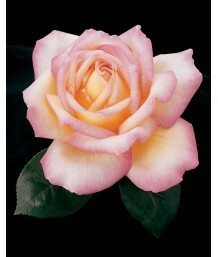 Hybrid tea with large old-fashioned and ruffle..
Tree RoseDeciduous shrub pruned as a small tree rose. 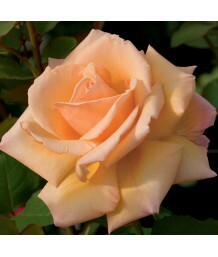 Pastel, peachy white blooms with a moderate ap..
Tree RoseDeciduous shrub pruned into a small tree rose. Fuchsia and magenta with pink stamens. Stron.. Climbing RoseDeciduous climbing rose. Large blooms in pyramid shaped clusters with low amount of tho..
Groundcover RoseDeciduous shrub. Used as a groundcover. 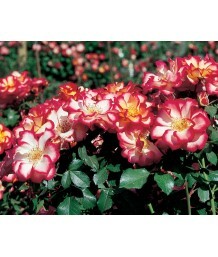 This two-toned roamer spreads flatter than w..
Groundcover/Prostrate/Carpet RoseDeciduous groundcover rose. 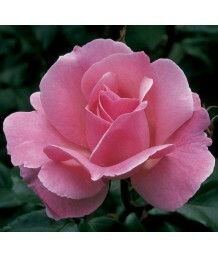 Constantly in bloom, this rose with its..
Shrub or Bush RoseDeciduous groundcover rose. 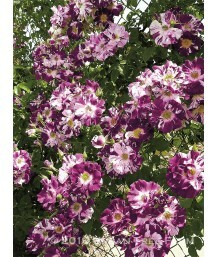 Nicely sized flowers come in large clusters to drape o..
Shrub or Bush RoseDeciduous shrub. Can be pruned as a single trunk tree rose. 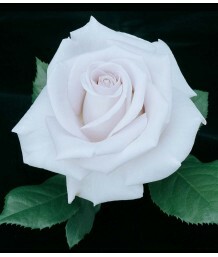 Large, fully double bl..
Tree RoseDeciduous shrub pruned as a small tree rose. Large, fully double blooms of pink, yellow, an..
Tree RoseDeciduous shrub pruned into a single trunk tree. Upright, full, and very bushy habit. Very ..
Tree RoseDeciduous shrub pruned to a small tree rose. Red blend, yellow reverse. Mild fragrance. Dou..
Shrub or Bush RoseDeciduous shrub. 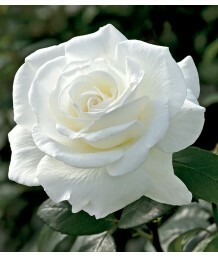 Can be pruned to a small tree rose. Usually kept as a 3 foot bush.. Climbing RoseDeciduous climbing rose. Vigorous growth. 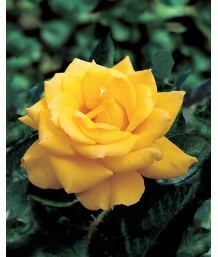 Double, hybrid tea shaped, deep golden yellow..
Groundcover/Prostrate/Carpet RoseDeciduous shrub. Moderate growth rate. Mounded spreading form. Medi.. Climbing RoseDeciduous climbing rose. Deep pink flowers with white stripes. Flat to cupped, ruffled ..
Tree RoseDeciduous shrub pruned into a small tree rose. Very round, bushy habit. Good disease resist..
Shrub or Bush RoseDeciduous shrub. Con be pruned into a small tree rose. 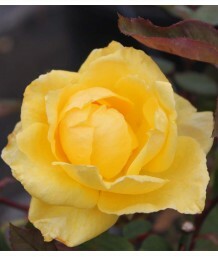 Usually kept as a 3 foot bu..
Tree RoseDeciduous shrub pruned as a small tree rose. Brilliantly colored vibrant red blooms borne i..
Tree RoseDeciduous shrub pruned into a small tree rose. 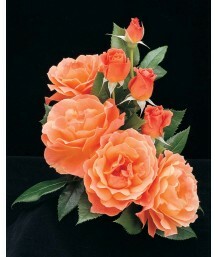 Large ruffled apricot and copper blooms. Str.. Climbing RoseDeciduous climbing rose. Fast growing tall climbing rose. 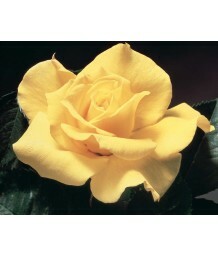 Large buttery yellow flowers ..
Tree RoseDeciduous shrub pruned into a small tree rose. Usually kept as a 3 foot bush. Flowers have .. Climbing RoseDeciduous climbing rose. Fast growing and tall. 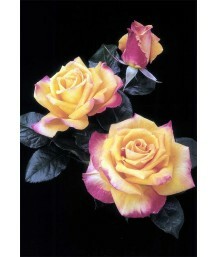 Blooms with pink and yellow stripes wit..
Tree RoseDeciduous shrub pruned into a small tree rose. 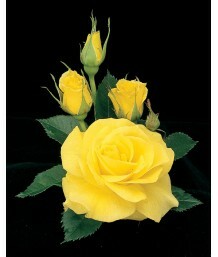 Super slow opening yellow rose with a green ..
Shrub or Bush RoseDeciduous shrub rose. Small glossy green leaves. 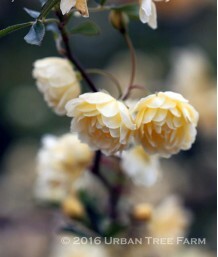 Single white flowers with yellow ..
Tree RoseDeciduous shrub pruned into a small tree rose. Spicy fragrance, loads of bloom and super lo..
Tree RoseDeciduous shrub pruned as a small tree rose. Big pointed buds spiral open into clean bright..
Tree RoseDeciduous shrub pruned into a small tree rose. 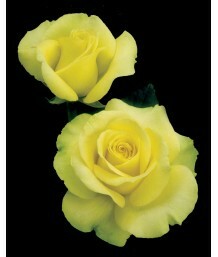 Luminous soft yellow blooms sometimes tinged..
Tree RoseDeciduous shrub pruned into a small tree rose. Warm apricot amber burnished with cream. Cle..
Groundcover/Prostrate/Carpet RoseDeciduous shrub. Used as a groundcover. 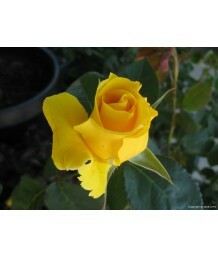 Medium-sized sunny yellow f..
Tree RoseDeciduous shrub pruned into a small tree rose. 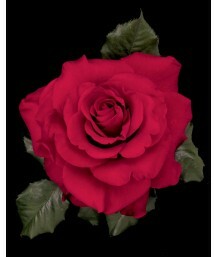 Amongst the world's top ten roses this is th..
Groundcover RoseDeciduous groundcover rose. Disease resistant. Bright glossy green leaves grow low a..
Groundcover/Prostrate/Carpet RoseDeciduous shrub. Slow growing. Rounded spreading form. 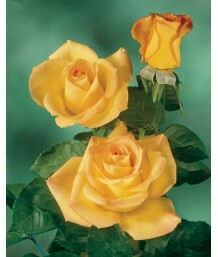 Medium-sized..
Tree RoseDeciduous shrub pruned as a small tree rose. 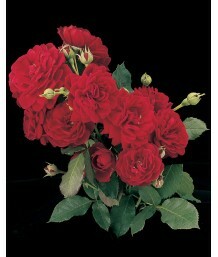 Brilliant scarlet red on long lasting ruffled ..
Shrub or Bush RoseDeciduous bush. Slightly spreading rounded habit. Large buds open to huge, double,..
Tree RoseDeciduous shrub pruned as a small tree rose. Slightly spreading rounded habit. Large buds o.. Climbing RoseDeciduous climbing rose. Clusters of double blossoms are the same clear velvet from bud..
Shrub or Bush RoseDeciduous shrub pruned into a small tree rose. 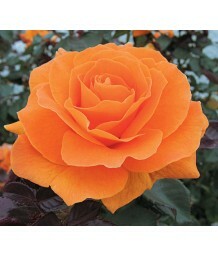 Its bright orange juice tones of gl..
Tree RoseDeciduous shrub pruned as a small tree rose. 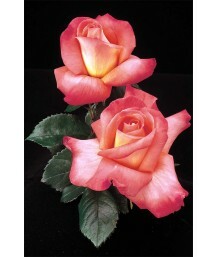 Floribunda with spiraled, fully double flowers..
Shrub or Bush RoseDeciduous shrub. Dark glossy green leaves have a purple tinge to them. Single form..
Shrub or Bush RoseDeciduous shrub. Can be pruned into a small rose tree. Usually kept as a 3 foot sh.. Climbing RoseDeciduous climbing rose. Glossy dark green foliage with finely toothed edges. Double bl.. Climbing RoseDeciduous climbing rose. 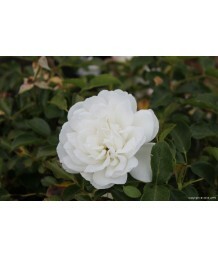 Loads of bright white ruffled flowers come on this vigorous di..
Shrub or Bush RoseDeciduous shrub. Can be pruned as a small rose tree. 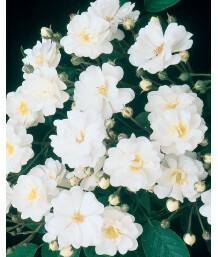 Usually kept as a 3 foot shru..
White Lady Banks RoseDeciduous climbing rose. Very fast growing. Needs support. 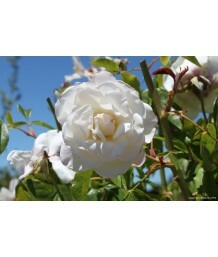 Medium-sized medium-..
White Lady Banks RoseDeciduous climbing rose. Already trained to grow on a trellis. 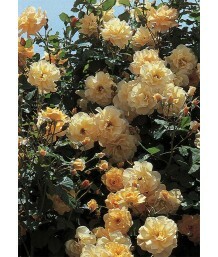 Very fast growin..
Yellow Lady Banks RoseDeciduous climbing rose. Fast growth. 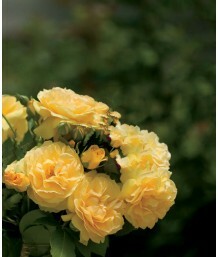 A vigorous climber with rich-green folia..
Yellow Lady Banks RoseDeciduous climbing rose. Already trained to grow on a trellis. Fast growth. A .. 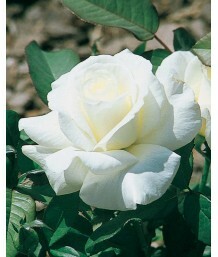 Double White Lady Banks RoseDeciduous climbing rose. Hybrid banksiae. 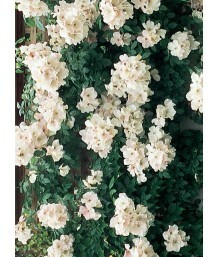 Double white flowers in spring..
Groundcover/Prostrate/Carpet RoseDeciduous groundcover. Clusters of pink flowers. Spreading form. Sm..
Groundcover/Prostrate/Carpet RoseDeciduous groundcover. Clusters of red flowers. Spreading form. Sma..
Groundcover/Prostrate/Carpet RoseDeciduous groundcover. Clusters of white flowers. Spreading form. S..
California Wild RoseDeciduous shrub. 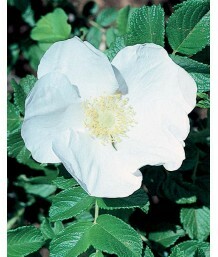 Native to moist places throughout the state, including the Bay ..
California Wild RoseDeciduous shrub. This native species is quite common here along the central coas..
China RosaDeciduous shrub. 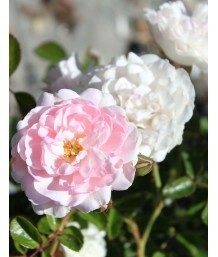 Rounded, repeat-blooming, old garden shrub rose. Features clusters of sli..
Red Musk RoseDeciduous shrub. This large, open shrub has heavy, arching canes extending 8 feet or mo..
Groundcover/Prostrate/Carpet RoseDeciduous groundcover. Clusters of double red flowers. Spreading fo..
Groundcover/Prostrate/Carpet RoseDeciduous groundcover. Clusters of yellow flowers. Spreading form. ..
Shrub RoseDeciduous shrub. Rounded bushy habit. Single, light pink flowers bloom profusely in warm w..
Shrub RoseDeciduous shrub. Rounded bushy habit. 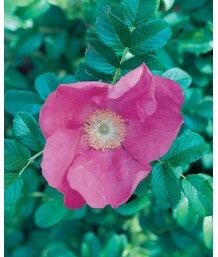 Purple-red flowers bloom profusely in warm weather a..
Rugosa Hybrid RoseDeciduous shrub. 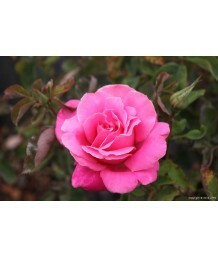 Deep rosy-pink buds open to large, rich pink double blossoms with.. Climbing RoseEvergreen climbing rose. 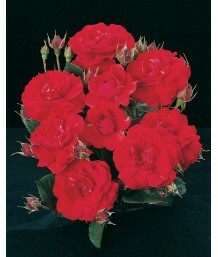 Vigorous and disease free with arching canes that will clamber..
Shrub Rose/Hedgehog RoseDeciduous shrub. Rounded bushy habit. Violet-red flowers bloom profusely in ..